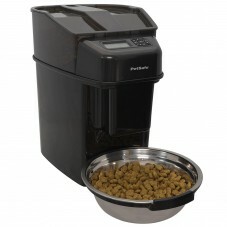 Manage your pet's meals & waistline with an automatic pet feeder. 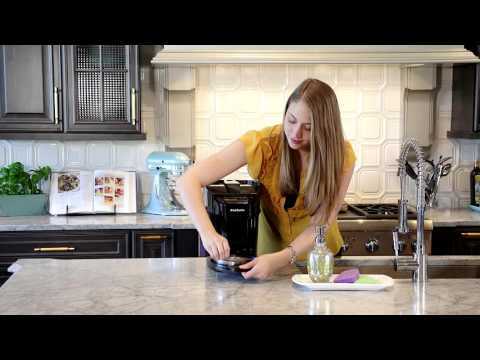 Worried your pet's eating too much or not enough? Can't keep track of which pets are fed when? 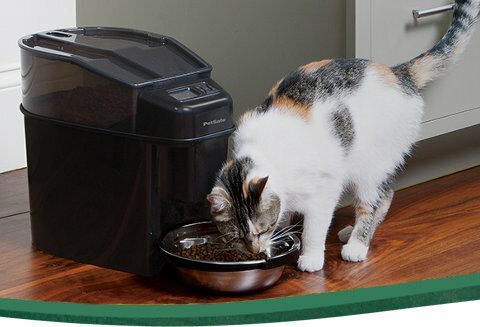 Stop stressing about mealtime with automatic and gravity feeders. 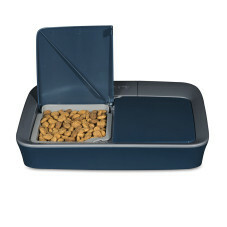 Healthy Pet Food Station™ gravity feeders give pets access to food at all times. 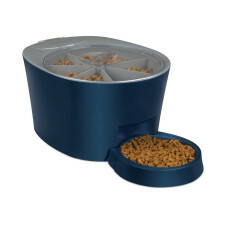 2-Meal, 5-Meal, & 12-Meal automatic feeders control portions & keep regular meal schedules. Simply Feed™ Slow Feed option stops gulping to prevent bloat, choking, and vomiting. Now you can customize your pet's meals with flexible portions from 1/8 - 4 cups and up to 12 meals per day. With portion control and a consistent feeding routine, it's easy to manage your pet's weight or help with weight loss for your overweight pet. 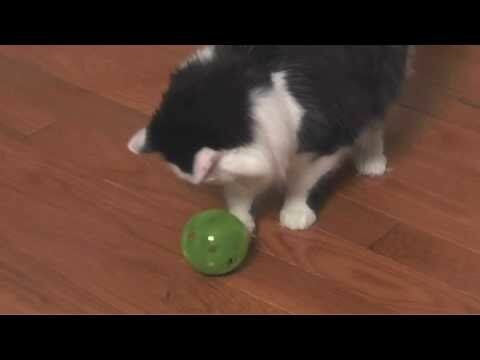 Getting overweight pets to lose those extra pounds can be challenging. Interactive feeders make weight loss easier. 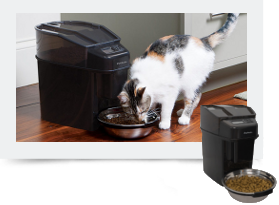 SlimCat™, Funkitty®, and Busy Buddy® toys are food-dispensing toys, so you can fill them up with your pet's meal and watch them work for their food! 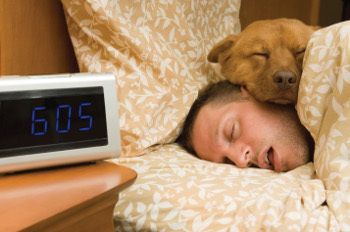 With portion control and extra exercise, your pet will be slimmer in no time. Forget about the bowl! 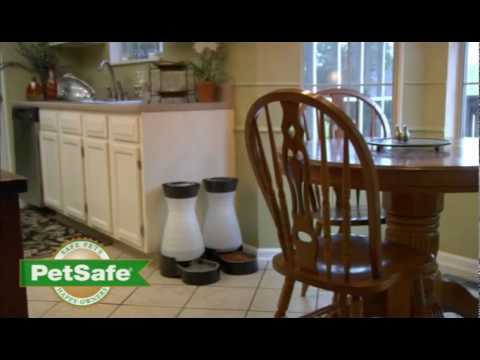 With PetSafe® gravity feeders, your pet always has access to fresh food. 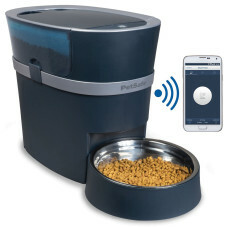 No more refilling the bowl every meal or worrying about getting home on time to feed them.